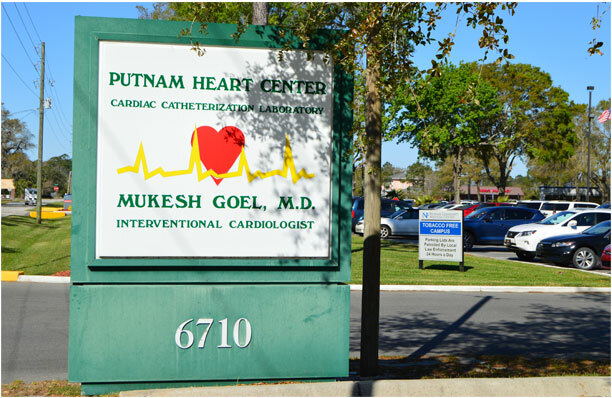 Putnam Heart Center is a comfortable center directed by Mukesh Goel, M.D., (Harvard Trained), an Interventional Cardiologist, holding privileges at Putnam Community Medical Center in Palatka, Florida. Located adjacent to Putnam Community Medical Center, the center offers convenient front door patient drop-off and pick-up with spacious parking close to the entrance. With simple check-in procedures and timely attention to every patient, the friendly and caring staff will ensure convenience and comfort during your visit. Same day scheduling and immediate reporting are provided. Along with these quality services the center can help with weight, diet, exercise, cholesterol and stop smoking programs, all factors that contribute to the condition of your heart and health.